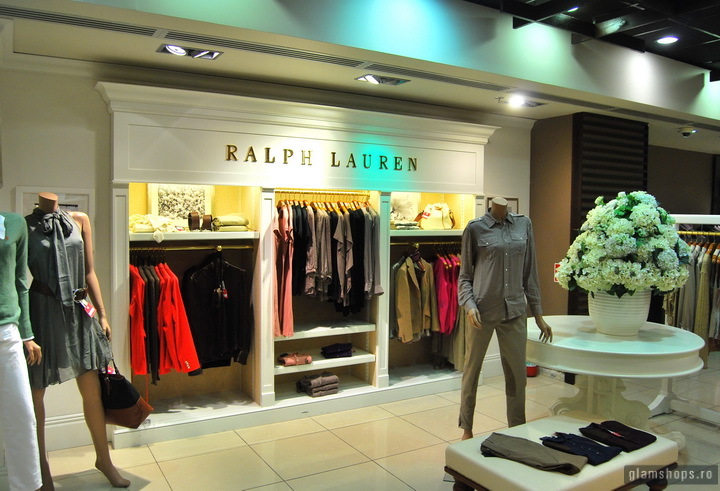 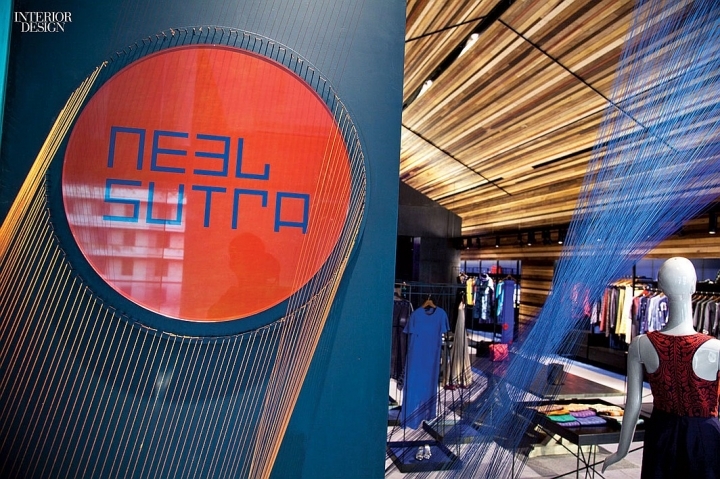 Neel Sutra is a new boutique selling high-end women’s fashion by India’s top designers, such as Rohit Bal and Anju Modi. 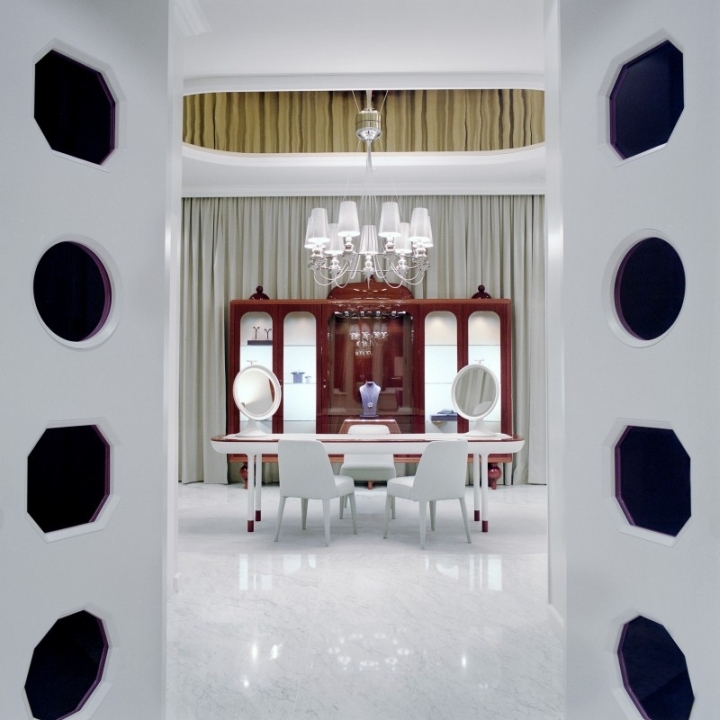 Its 2,200 square feet has taken up residence inside the five-star Oberoi, Gurgaon hotel, outside New Delhi, exhibiting a contemporary aesthetic by Architecture Discipline. 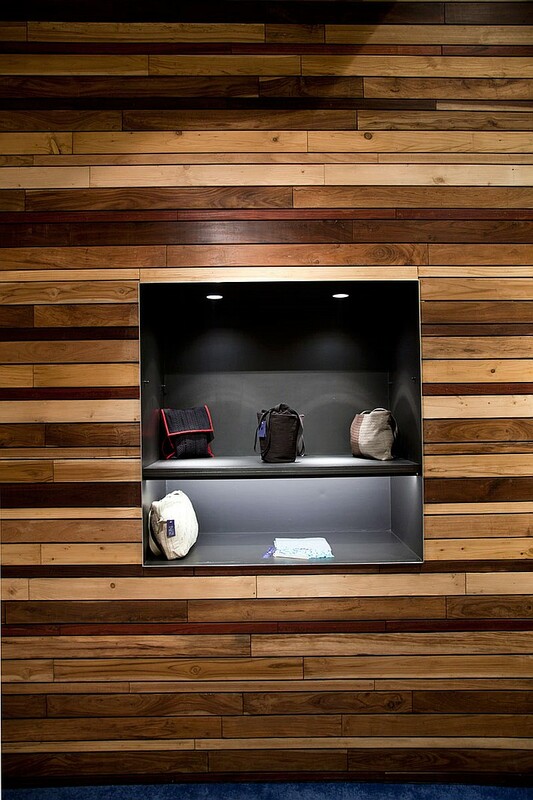 Panels of distressed zinc, inspired by the corroded tin used for slum shelters, enclose fitting rooms. 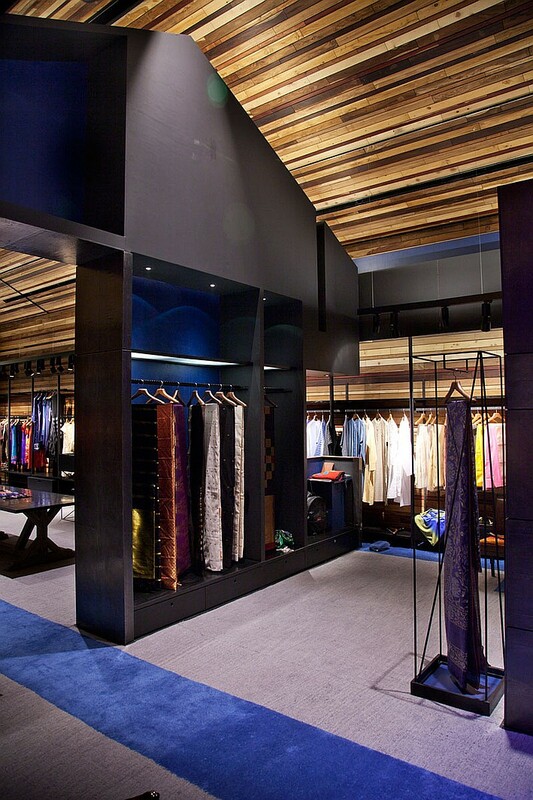 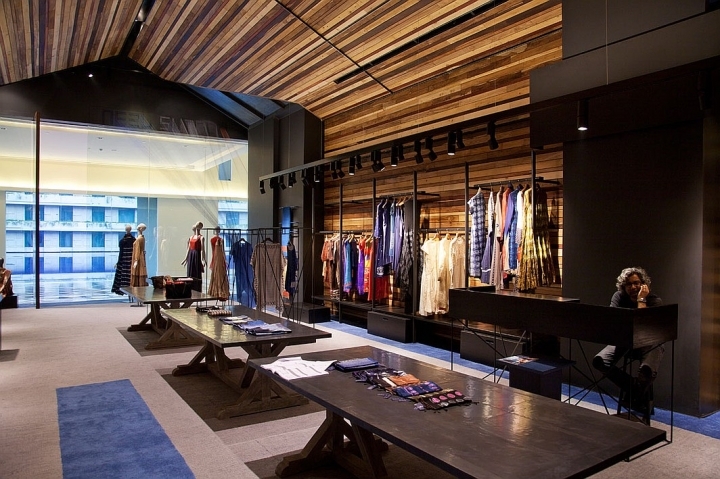 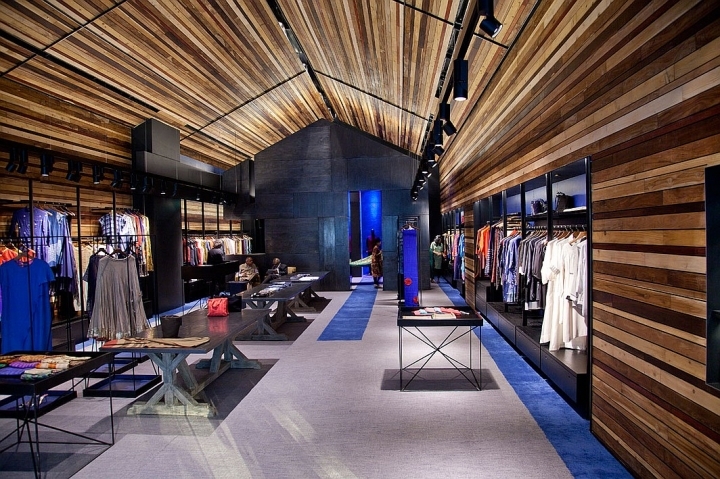 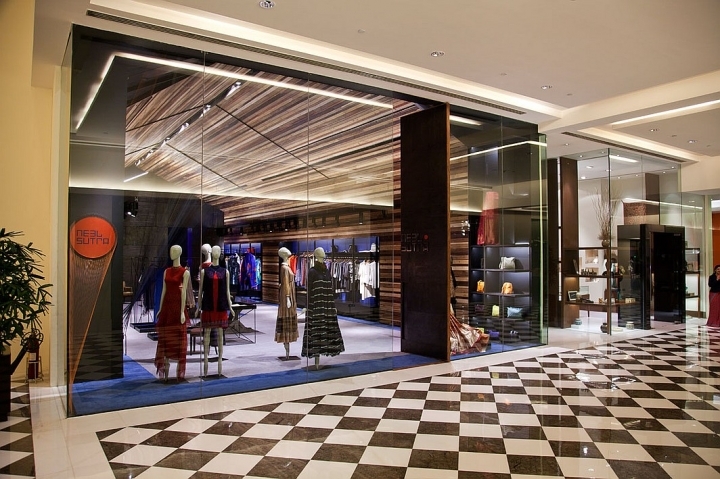 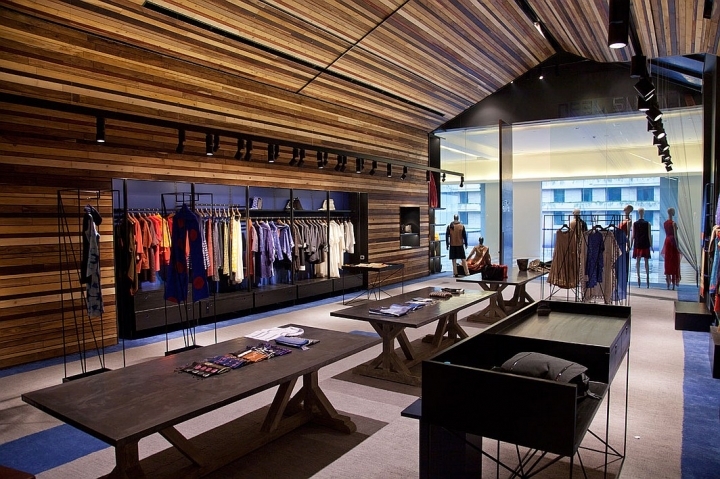 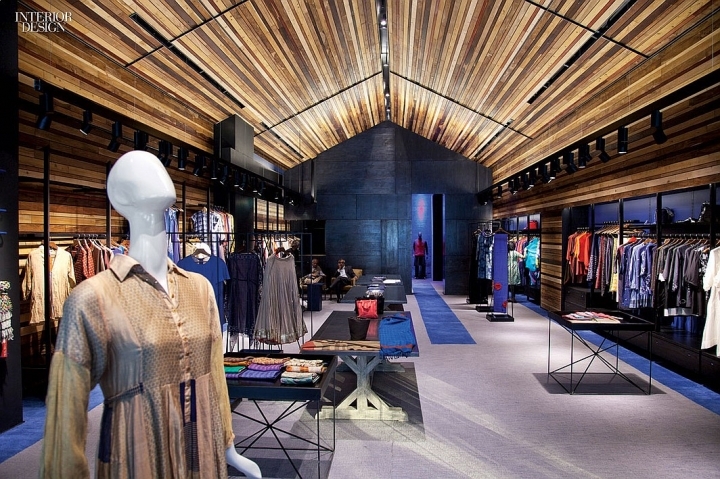 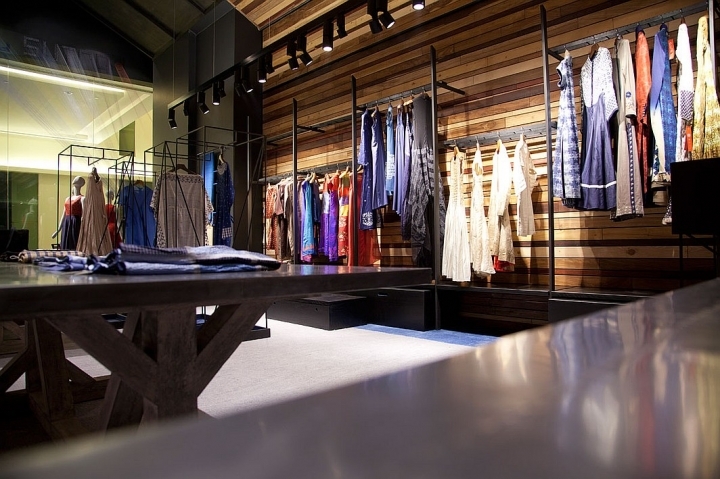 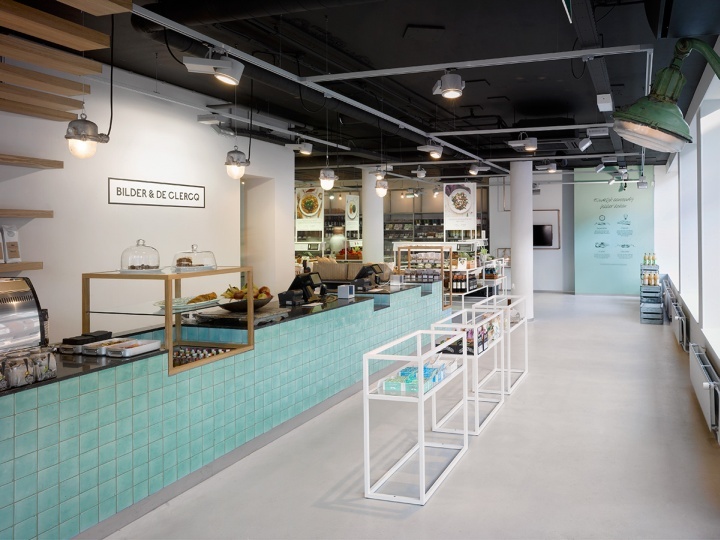 Peaking at a dizzying 23 feet, the ceiling is composed of glued slats of 11 species of indigenous woods (the same number of labels represented at the boutique). 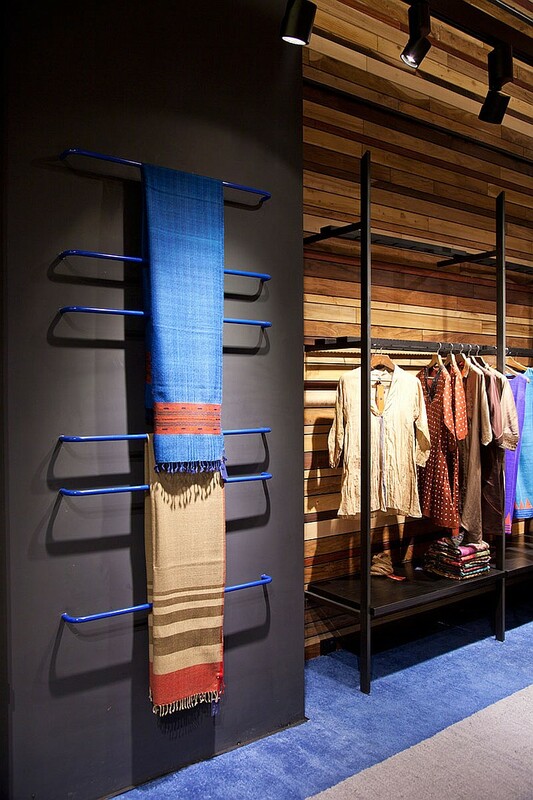 Underfoot, gray carpet hand-tufted in Indian wool is accented in a color that ties in to branding: Neel is Sanskrit for blue.